Queen Elizabeth II arrives for her to visit to The Science Museum on March 07, 2019 in London, England. Queen Elizabeth II visited the museum to announce its summer exhibition, 'Top Secret', and unveil a new space for supporters, to be known as the Smith Centre. 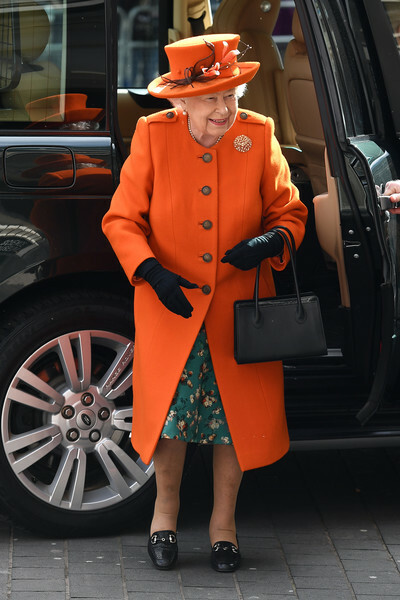 Queen Elizabeth II visited the Science Museum wearing a bright orange wool coat.